(VW Touareg 2003-2006 3.6 V6 Petrol models : Fits Left side only. Quality German Fuel Pump. IV63, KA27 to 28, KW1 to 17, PA20 to 49, PA60 to 78, PH14 to 40, PH42 to 44, ZE1-3) & Islands (Isles), Non Mainland UK, Northern Ireland . 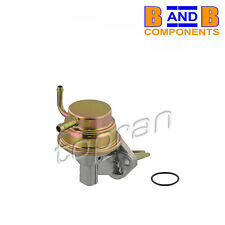 (VW Touareg 2003-2006 3.6 V6 Petrol models : Fits right side only. Quality German Fuel Pump. With your order efficiently and without any delay. IV63, KA27 to 28, KW1 to 17, PA20 to 49, PA60 to 78, PH14 to 40, PH42 to 44, ZE1-3) & Islands (Isles), Non Mainland UK, Northern Ireland . ITEM NUMBER C363. VW GOLF/JETTA MK2 1.8GTI 8V. A NEW FUEL PUMP. 1 x FUEL PUMP. PART NUMPER 191 906 090. VW GOLF MK3 HATCHBACK FROM 1991 TO 1998. VW POLO HATCHBACK FROM 1995 TO 1999. A NEW IN TANK FUEL PUMP. 1 x FUEL PUMP. AS SHOWN IN THE PICTURE. ACC,ABS,ADZ. 11.91 - 08.97. 10.94 - 10.99. 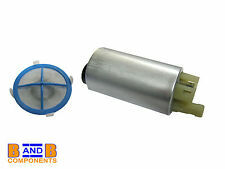 VW Golf MK4 & Bora 1998-2005 1.6 1.8 1.8T 2.0 V5 Fuel Pump Repair Kit. VW Golf MK4 & Bora 1998-2005 : 1.4 / 1.6 / 1.8 / 1.8T / 2.0 GTI / 2.3 V5 / 2.8 V6. Simply Remove your Fuel Pump from your Original Fuel Pump Casing and replace with this Top Quality Repair Kit. VW Vento 1993-1998 :1.4 1.6 1.8 Petrol Models. VW Golf MK3 1993-1998 : 1.4 1.6 1.8 Petrol Models. VW Polo 1994-2002 : 1.0 1.3 1.6 Petrol Models. VW Golf Cabriolet 1998: 1.8 Petrol Models. Quality German Fuel Pump. Fitting Position in fuel tank. Components deviate from OE. AND WE WILL DIRECT. IN DOUBT WHETHER IT WILL FIT?. MAINLAND -24 HRS. (incl: NORWAY & SWITZERLAND). Any problem will be resolved regarding our support team. 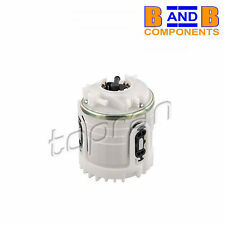 Reference OE/OEM Number: 3B0919051C / 3B0919051B / 8E0919051A / 8E0906087F / 3B0 919 051 C / 3B0 919 051 B / 8E0 919 051 A / 8E0 906 087 F. Condition: New. AB30-38, AB44-56, BT, FK17-21, G83, GY, HS 1-9, IM, IV,JE, KA 27-28, KW, PA 20-99, PH 15-32, PH 49-99, TR 21-25, ZE. Part Number:115 277. There may be on occasions more than one compatible part for your vehicle. Then at our discretion we will decide the next course of action. We will do our best to answer as fast as possible. Part Number:401 956. There may be on occasions more than one compatible part for your vehicle. Then at our discretion we will decide the next course of action. We will do our best to answer as fast as possible. Part Number:721 481. Then at our discretion we will decide the next course of action. There may be on occasions more than one compatible part for your vehicle. We will do our best to answer as fast as possible. Fuel Type::Diesel. We will always attempt to rectify the issue as fast as possible! We just want you and your car to be happy! BMW 16141182079. BMW 16141181944. BMW 1184748. BMW 1182079. BMW 1181944. VW MULTIVAN V (7HM, 7HN, 7HF, 7EF, 7EM, 7EN) 1.9 TDI 1.9 L / 1896 cc 2006.06 - 2009.11 75 Kw / 102 HP Engine Number: VW BRS. VW MULTIVAN V (7HM, 7HN, 7HF, 7EF, 7EM, 7EN) 1.9 TDI 1.9 L / 1896 cc 2003.04 - 2009.11 63 Kw / 85 HP Engine Number: VW AXC. Part Number:114 608. There may be on occasions more than one compatible part for your vehicle. Then at our discretion we will decide the next course of action. We will do our best to answer as fast as possible. Part Number:501 910. Then at our discretion we will decide the next course of action. There may be on occasions more than one compatible part for your vehicle. We will do our best to answer as fast as possible. Fitting Position Left. IN DOUBT WHETHER IT WILL FIT?. AND WE WILL DIRECT. MAINLAND -24 HRS. (incl: NORWAY & SWITZERLAND). BMW 3 (E46) 318d 2.0 L / 1951 cc 2001.09 - 2003.03 85 Kw / 116 HP Engine Number: BMW M47 D20 (204D1). BMW 3 (E46) 318d 2.0 L / 1995 cc 2003.03 - 2005.02 85 Kw / 116 HP Engine Number: BMW M47 D20 (204D4). Fitting Position in fuel tank. IN DOUBT WHETHER IT WILL FIT?. AND WE WILL DIRECT. MAINLAND -24 HRS. (incl: NORWAY & SWITZERLAND). We always will do the best for both sides to be happy! Part Number:401 632. Then at our discretion we will decide the next course of action. There may be on occasions more than one compatible part for your vehicle. We will do our best to answer as fast as possible. Part Number:115 015. There may be on occasions more than one compatible part for your vehicle. Then at our discretion we will decide the next course of action. We will do our best to answer as fast as possible.